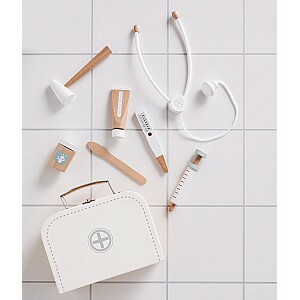 Here you can find everything for the little doctor. We have doctor's costumes / clothes with doctor's gowns / coats, nurse aprons and accessories like doctor's bags, stethoscopes, gauzes, dosing syringes, hygienic face masks, pill bottles and patches, etc. These fun costume outfit clothes are perfect for masquerade and birthday parties but also for lots of playing.